Cando Calf Stretcher from HealthyKin.com is an excellent assistive device to help stretch legs, feet, and ankles. Flexibility and range-of-motion in the legs and ankles can be improved with continued use. Also, usage before and after exercising can prevent potential injuries. Inflexible leg muscles and tendons can pose danger to athletes and fitness enthusiasts. When the leg muscles aren't stretched, they can tighten and constrict the movement of the ankle. This can even lead to future injuries and even ruptures in the Achilles tendon. With the CanDo Leg Stretcher, flexibility can be maintained in the legs, feet and ankles. Just what i needed and I ordered on Friday and it got here Saturday. Don't know how you did it, but thank you. Great product, price and service. Love it! Wish I had gotten the double one and an extra one for the office...definitely worth the price. Product delivered quickly. Does a better job at stretching than I am able to do on my own! Currently undergoing PT and therapist recommended this product. Gives a good deep stretch. Only went with 4 stars because sometimes I feel a pull thru my lower back and I can't figure out why. Therapist recommended using the stretcher on carpet or padding rather than wood floor for best stretch. Healthy Kin had one of the best rates for this product compared to other sites. Quick easy shipping and overall great product and experience, would highly recommend. Calf stretcher does exactly what it is supposed to do. I was impressed with how fast it arrived. I placed the order Friday afternoon and it arrived on Monday. Healthy Kin offers this Pro-Stretch cheaper than Amazon or ProStretch.com. After ordering (with standard shipping) it arrived two days later! Very quick shipment and at a cheaper rate than others. The ProStretch works wonders. 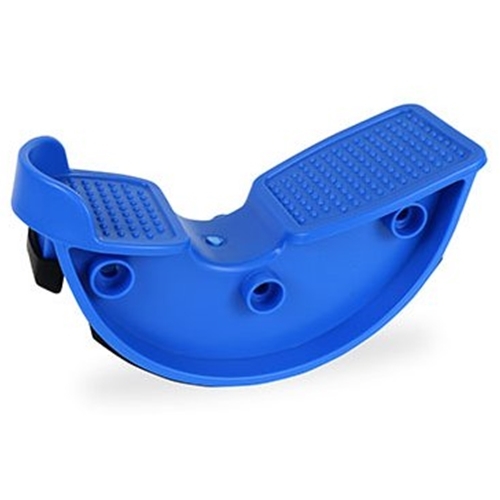 I use it combined with heel drops and my Achilles Tenditis is virtually gone. Great stretcher that has saved my life. I run a lot in the Army and couldn't afford to stop. Thanks for taking care of me! I used one at the physical therapist and when I was no longer able to attend I bought one for home. It really works. Great tool, excellent quality.